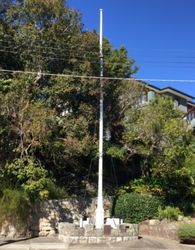 A flagpole commemorates those from the district who served in World War One. 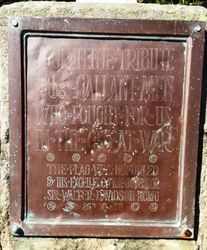 The memorial was the initiative of the Vaucluse Progress Association formed in May 1915. The Association's first years were concerned almost wholly with supporting the war effort and the loss of two of its members was keenly felt – Roy Oswald Middleton, killed by shell explosion at Pozieres on 25 July 1916, and Benjamin Digby Gibson who drowned in Egypt on 14 January 1917. Middleton was an architect who had designed a number of houses in the district, and Gibson a medical practitioner who had migrated from Ireland and settled in Vaucluse in 1914. 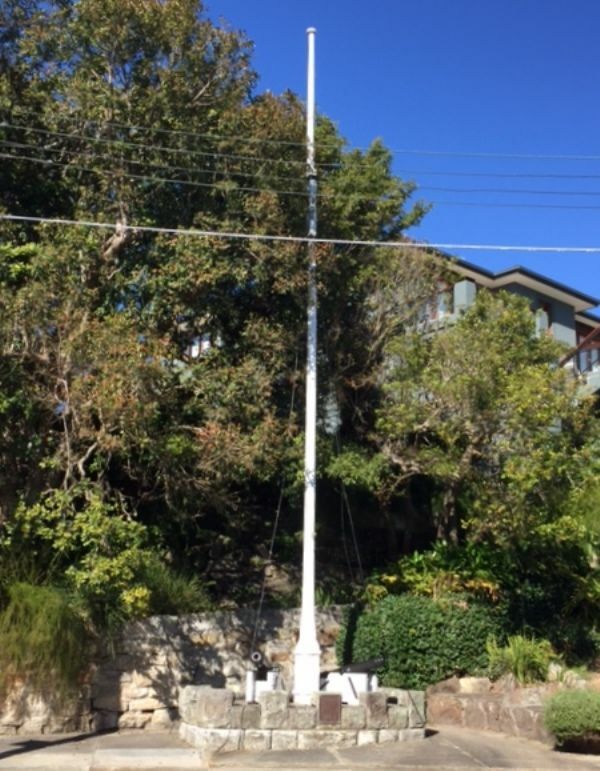 On the occasion of this visit to Vaucluse on Saturday next his Excellency the Governor, Sir Walter Davidson, will unfurl the flag on the flagpole which has been erected at the junction of William and Wentworth roads in connection with the Memory Drive in honour of local men who have gone to the front. The ceremony will take place at 2 o'clock. Sydney Morning Herald (NSW), 24 October 1918.